This is the best ever banana cake. 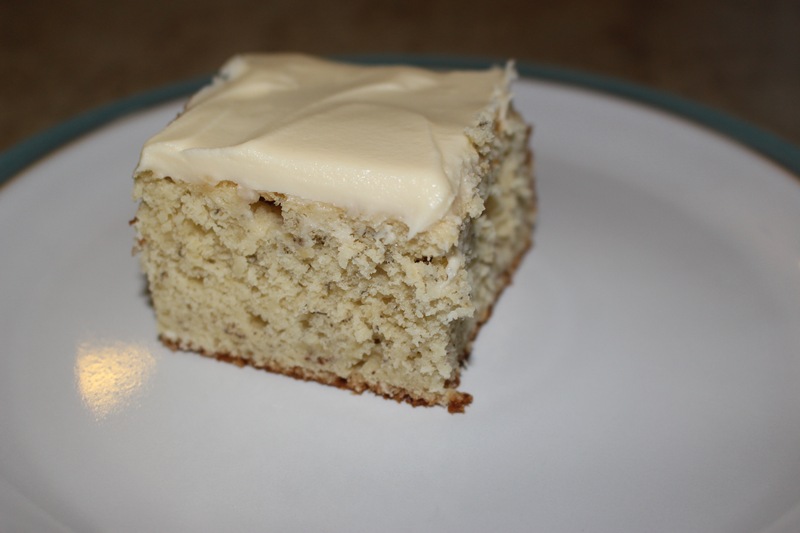 It is so moist and has a lot of banana flavour, made even better by adding cream cheese frosting. It is dangerous for me to have this cake in the house because I cannot pass it without cutting off a little bite. I also like to keep this one in the fridge, I like it better cold. 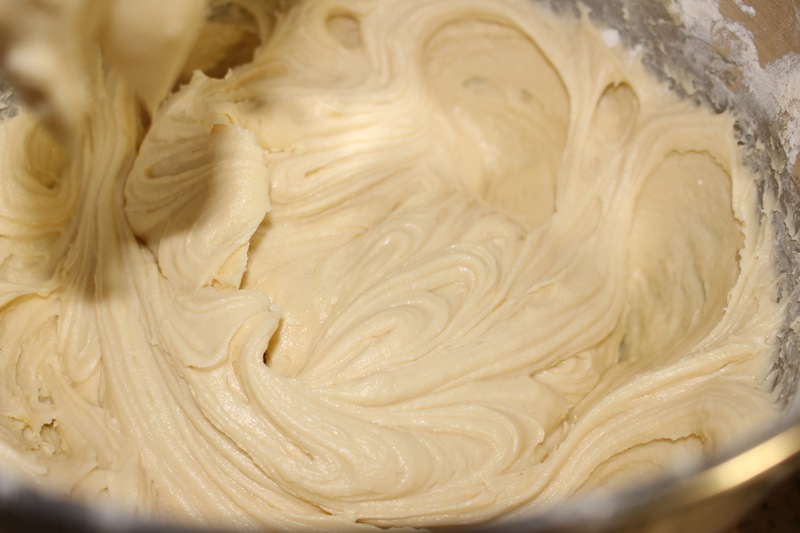 You can use the frosting or if you prefer more of a snacking cake for breakfast mid-morning snack, it is also very good with out the frosting. 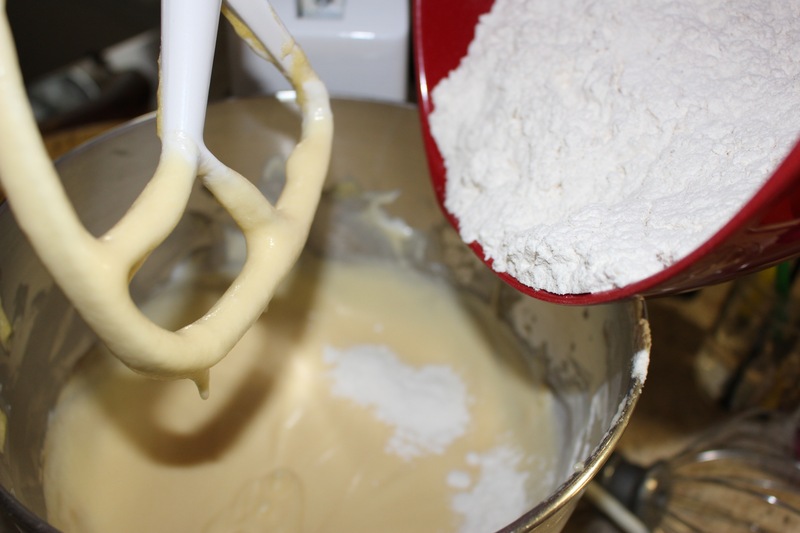 Pour batter into a 9″X13″and bake. 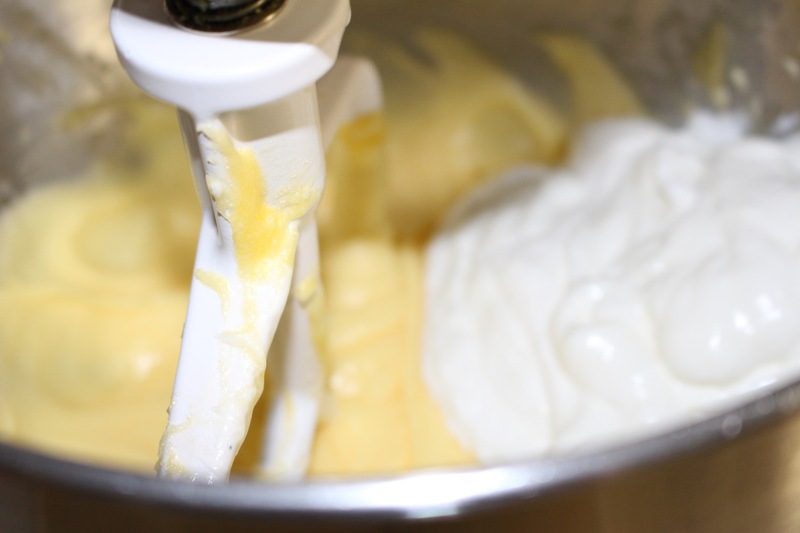 Take 1 block of cream cheese at room temperature, 1/2 cup butter, at room temperature, 2 tsp vanilla and about 3 cups icing sugar. 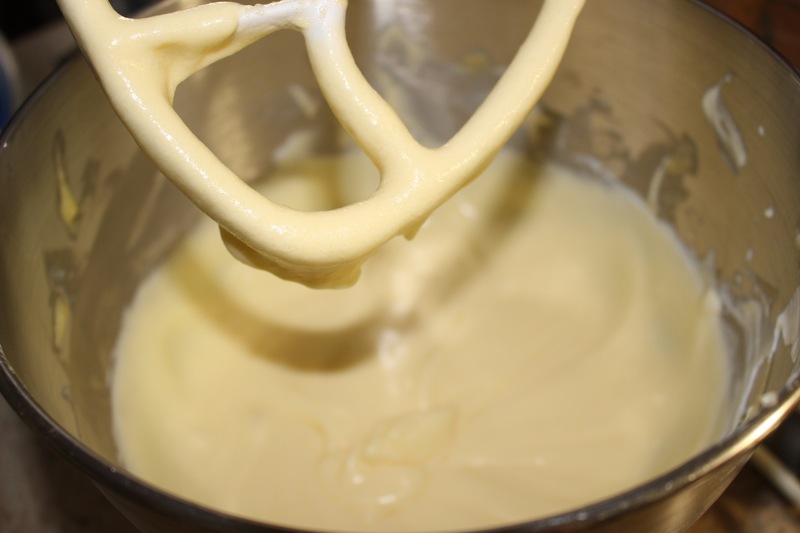 Mix until combined and creamy smooth. 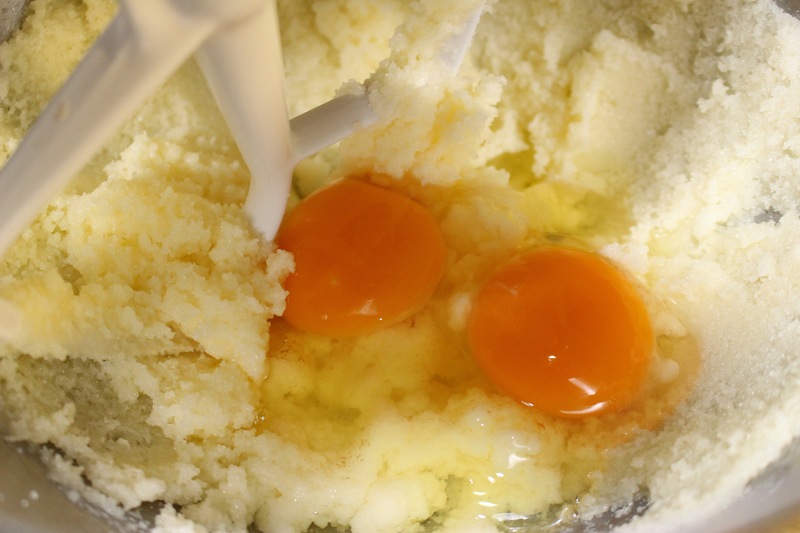 I usually add 2 cups of the icing sugar and them keep adding until it is as sweet as I want it. 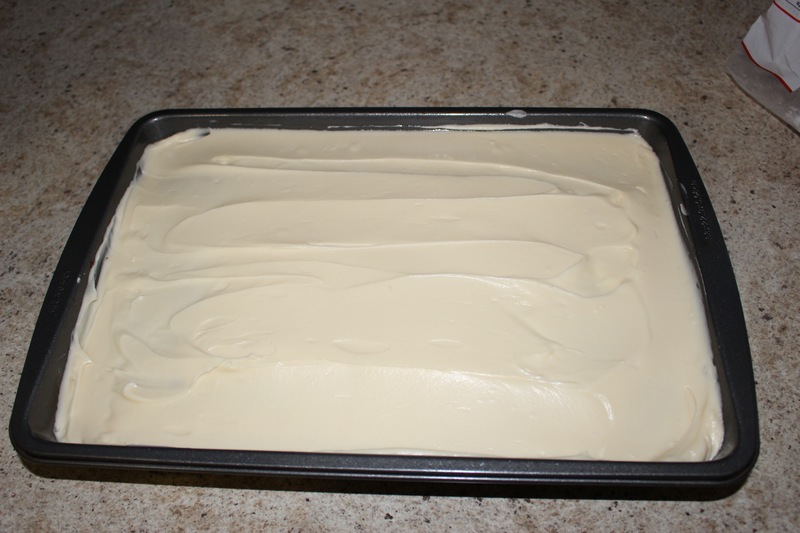 Well I got carried away and didn’t take a picture before frosting! 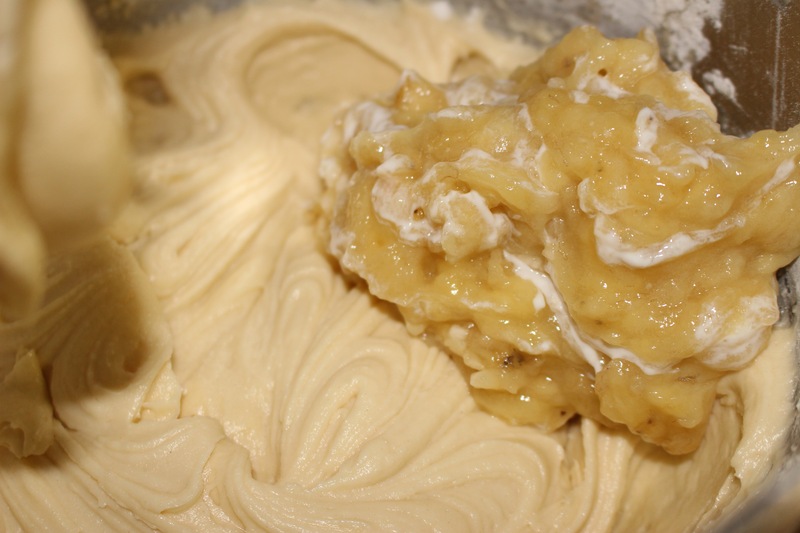 This entry was posted in baking and tagged banana, banana bars, Banana cake, butter, cream cheese, cream cheese frosting, frosted banana cake, sour cream.